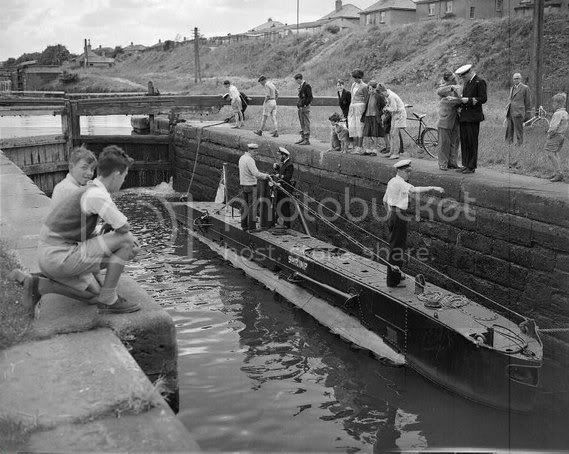 G'Day possilonian, Yep how did you guess I was one of the weel sh*tes who yoused to deposit some of the wood into the canal and build rafts out of it and sail up and doon the water. Just wondering if any of the crew knew that there is a tunnel under the canal underneath the bascule bridge at the bottom of Clevden road and Skaethorn road? We found it after running a penetration exercise on the gas works fence (without getting caught) and followed a set of railway lines we hadn't seen before and after getting cold and wet nearly waist deep in water we emerged near the chemical works at dawsholm. Myself and a bunch of friends had explored all over the area and the more stupid and dangerous it appeared the more we were up for it. Aha, I feel another canal memory coming on Just where that tunnel emerged at the Kelvin there was a rope swing off a tree out over the river. It felt like hundreds of feet above the water. A great time was being had until a gang of Hairymillers, (gettit) appeared and chased us. I thought it would be a great idea to escape along that tunnel, wrong, some of them were waiting at the Dawsholm end and I got the kicking of a lifetime, and guess what , no mates to be seen, had to do the old wrestlers trick and roll into a ball until they got bored, but hey it was the 50's, at least they didn't stab me. When posting images to the forums use .jpg .jpeg or .gif please, the rest won't work!! Aye thats the one, must have been used to carry coal into the gas works. Our gang was called the 'Run Like Feck Brigade'. Not far from that piggery was the Gleniffer Engine works. Not that tunnel that one was still in use at the time with goods trains. I was at school with Angus MacMillan who's parents ran the piggery. No this one ran from inside the gas works to the chemical works north of the canal I will try again to show the photo's and mark the enterance and exit with a red arrow and the other line in yellow. Don't know if they still exist due to the new Kelvindale station construction, anyone been down thier lately? * the red dot is the site of the new Kelvindale station.